Such was Tom Lenihan’s memory that, on a number of occasions, after a little probing, he faultlessly remembered and sang a song which he said he had not sung for some 40 years or more and had forgotten he ever knew. 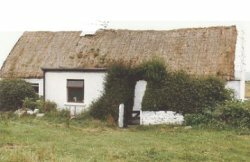 There was always a warm welcome from Tom and Margaret Lenihan in their small thatched farmhouse in Knockbrack, just outside Miltown Malbay. Tom would talk and sing for visitors at any time, regardless of any farm work he had planned to do. After the beer was thrust into your hand - and before the tea was served - the tape recorder and microphone in position, Margaret would say, "Tom, the clock." The small, but loud alarm clock was duly stopped to ensure quiet during the recording; they had no telephone so that was no problem, and the grandchildren knew to creep in silently and remain so during the song. Tom had a very large repertoire and positive ideas about singing. He insisted that the story was most important aspect; the singer's involvement with the song was paramount. To him it was vital that the singer used speech patterns, made sense of the words, singing them as close as possible to the way one would speak; to fit the tune to the words, not to make the words fit the tune. 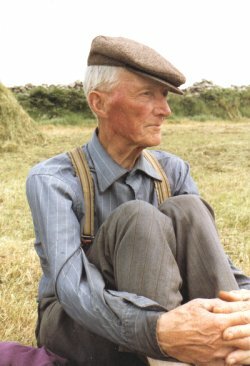 A selection of Tom's songs, recorded by Tom Munnelly, was published in book form in 1994 by Comhairle Bhéaloideas Éireann entitled ‘Mount Callan Garland’, accompanied by a double cassette. An earlier album of our recordings of him was released by Topic Records in 1978 under the title ‘Paddy's Panacea’. 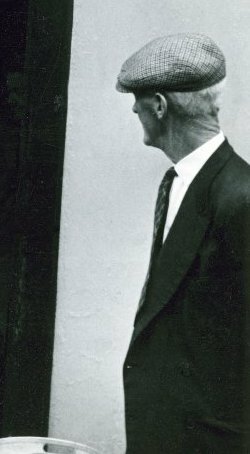 Tom Lenihan also had a large store of folklore, much of which was also recorded by Tom Munnelly for the Department of Irish Folklore, UCD. Taken from ‘Around the Hills of Clare: Songs and Recitations from the Jim Carroll and Pat Mackenzie Collection’ (2004) Musical Traditions Records MTCD331-2/Góilín Records 005-6.